Homer Guevara Jr. was recently invited to represent Northwest Vista College and serve as a panelist at a luncheon hosted by the San Antonio Colleges and Universities Career Centers Association (SACUCCA). The subject matter concerned how to bridge the gap between talent, supply, and demand and how workforce recruitment and development trends in the future will impact San Antonio.This event took place at Texas A&M-San Antonio. SACUCCA is a cooperative network of Career Services offices representing 14 colleges and universities in the greater San Antonio area. Northwest Vista College’s Community Health Worker program recently celebrated Community Health Worker Day in Texas on April 8. A variety of entities, including students from the NVC program, celebrated locally at the Lockwood Park Pavillion. 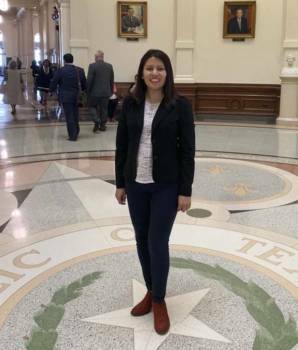 Guadalupe Cornejo, NVC Community Health instructor, traveled to Austin to take part in the capitol celebration. Congratulations to Lisa McGoldrick of the NVC President’s Office for receiving a Doctoral Degree (E.d.D.) from Capella University. 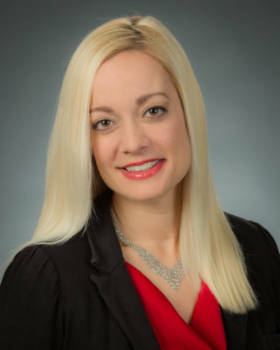 Her dissertation was titled, “A Financial Literacy College Curriculum Can Help Students Stay in College.” Lisa’s dissertation passed “with Distinction” and she had a 4.0 GPA.